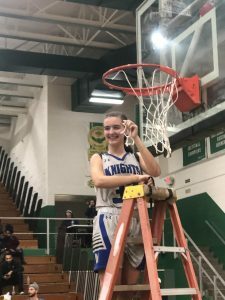 Knights News · Feb 7 Back to Back! 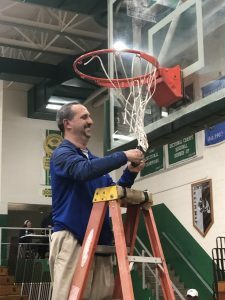 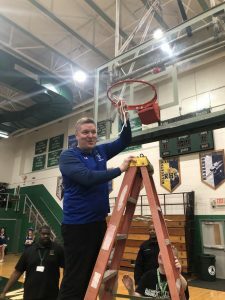 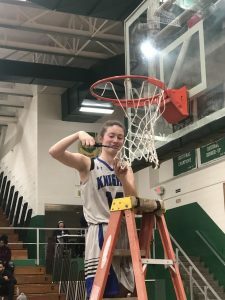 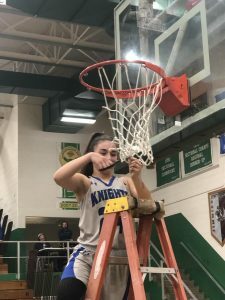 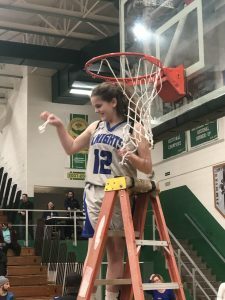 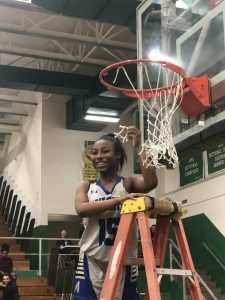 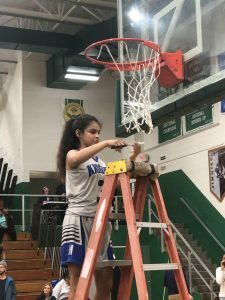 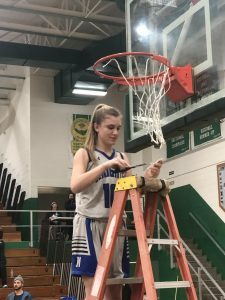 The Marian Lady Knights won their 42nd game in the past two years when they defeated John Glenn 34-33 in a thriller to claim their second consecutive Sectional Championship on Monday night. 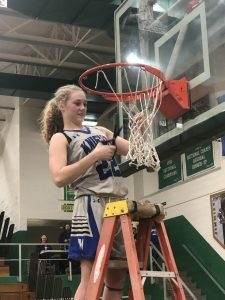 That victory total over a 2-year period is significant. 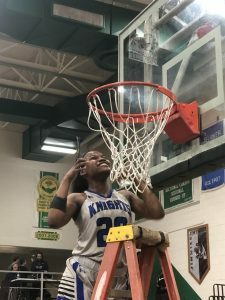 Not only is it the most wins in a 2-year period for the Lady Knights Basketball program (previous record was 35), but it ties the most wins for both men’s and women’s basketball in Marian basketball history. 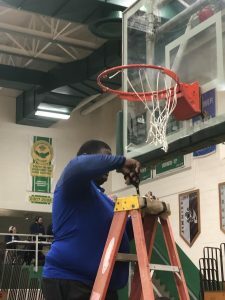 The 2014-16 season saw the Boy’s team claim 42 victories as well. 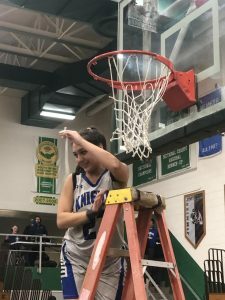 In all, the Lady Knights have been on a record pace the last two years. 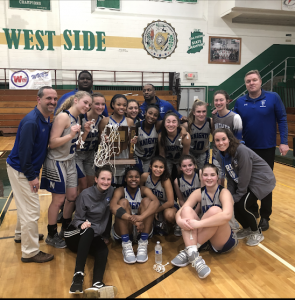 Not only did they claim the first (and now the second) Sectional Championship in program history, but they also have won or shared the NIC South Division title each of the last two years, also a first in program history. 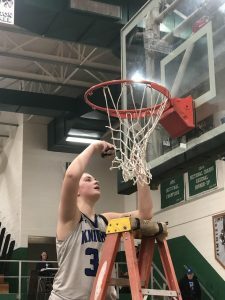 Marian will now face Knox in the 3A Regional Semi-Finals at 11:00 am EST at Rensselaer Central High School (1106 E Grace Street – Rensselaer, IN). 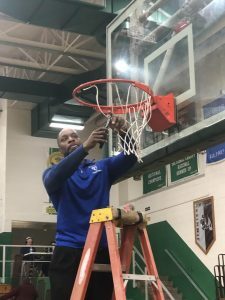 If you cannot make it to the game, it will be broadcast live on Redeemer Radio (95.7 FM). 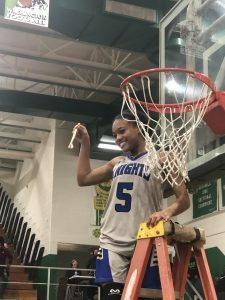 A victory over the Lady Redskins will place the Knights in the Regional Final for the first time in school history at 8:00 PM EST.